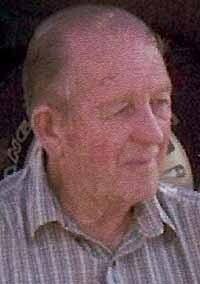 Michael Rex Watson, 82, passed away at his home in Hailey, Idaho, on Oct. 10, 2010. Rex was born April 14, 1929, in Lund, Idaho, to Robert Sidney and Florence Watson. Rex came to Hailey with his parents in 1935, and resided there until his death. He graduated from Hailey High School in 1947. On Jan. 15, 1948, Rex married Betty June Broadie and together they had three children, Charlotte, Clistie and Michael. Rex was a painter with his father for several years, and then went to work for Sun Valley Co. in the capacity of lift operator, mountain mechanic and painter. Dad's greatest joy in life was his family. He was a great husband, father and grandfather. Dad was the epitome of an athlete and sportsman. He liked to play basketball and football. He loved to fish, hunt, hike and bicycle. He was also the most beautiful skier we ever saw. Among the fondest memories of our dad was his fame as "The Phantom Skier" on Baldy. Every big snow he would anonymously make the first tracks in the fresh powder down the bowls before the runs were open for the day. This was much to the torment of the ski patrol. Another great example of his athletic abilities was the time his son asked him to substitute on a city basketball league for an absent player. Bear in mind that Dad was 30 years older than the rest of the players. In the last seconds of the game he stole the ball and shooting from half court made the game-winning basket. We could go on and on. Rex is survived by his daughter Charlotte (Dean) Biggs, his son Michael (Hether) Watson, his grandchildren, Sean (Tara), Angelia (Jesse), Tierney and Sidney, and great grandchildren, Kacey, Madalyn, Alexandria, Tristan, Kirk, Ryan, Justin, Kaden and Bentley. He is also survived by his nephew Jerry Croce and niece Toni Frazier. Rex was preceded in death by his parents and his sisters, his wife Betty and his daughter Clistie, granddaughter Shannon and grandson Tyler. A private family celebration of his life was held on Saturday, October 16th at his home. A private inurnment will be held at a later date.